Simplywood Rings are described as "eco-conscious wooden jewelry". 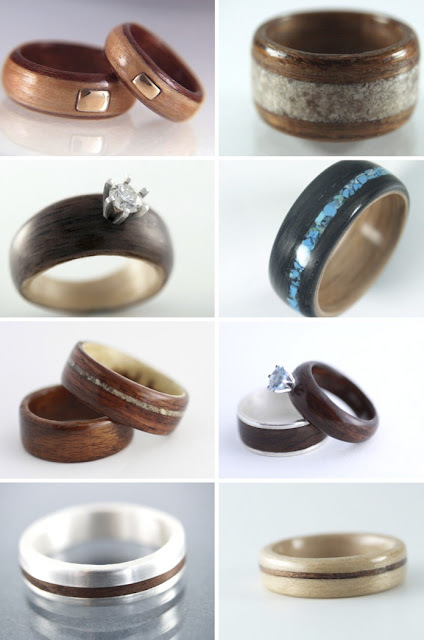 The rings are handcrafted form recycled wood, such as violins or other sentimental objects. It's hard to imagine a wooden ring lasting as long as a gold one, but they certainly are charming.